We highly recommend you give us a call before considering investing in a new machine. 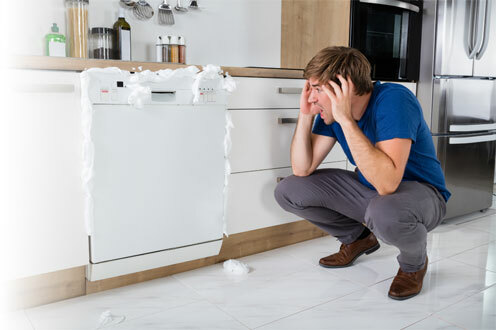 If your dishwasher is causing you problems, there may be a simple underlying cause, ACE engineers will be out to you within 24 hours to diagnose the problem and decide the best course of action. We know no one likes washing up, so we aim to fix your broken dishwasher on the first visit, whilst keeping prices to a minimum. There are several signs to look out for when it comes to faulty machine, other than the obvious machine stopping to work. – Is the machine making a peculiar noise? – Is it taking longer to work than it used to? – Is your dishwasher cleaning less effectively than usual? – Are large amounts of dirt building up inside your dishwasher? If you spot any of these signs, get in touch with one of our engineers and get your problem fixed sooner rather than later.